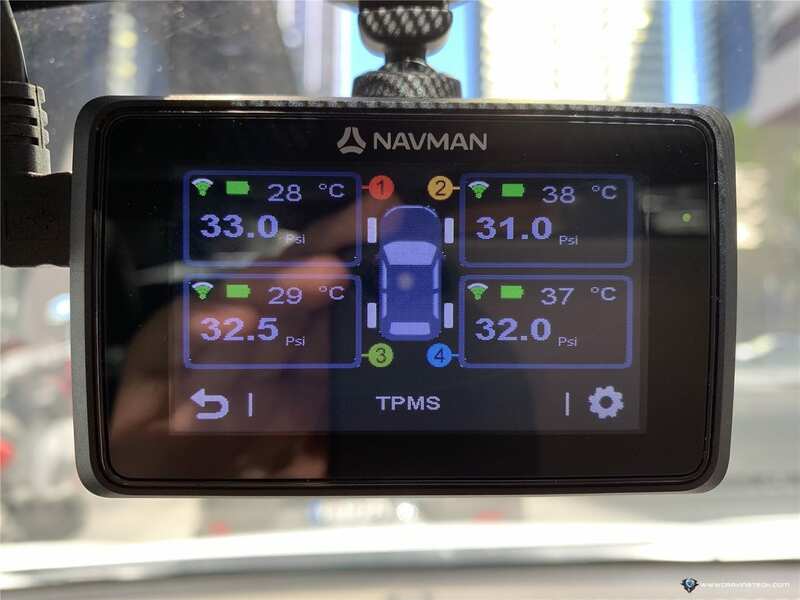 Navman MiVUE 860 DC TYRE Review – Many dashcams have gone from the standard incident video recording to featuring driving aid alerts like fatigue or car proximity alerts. 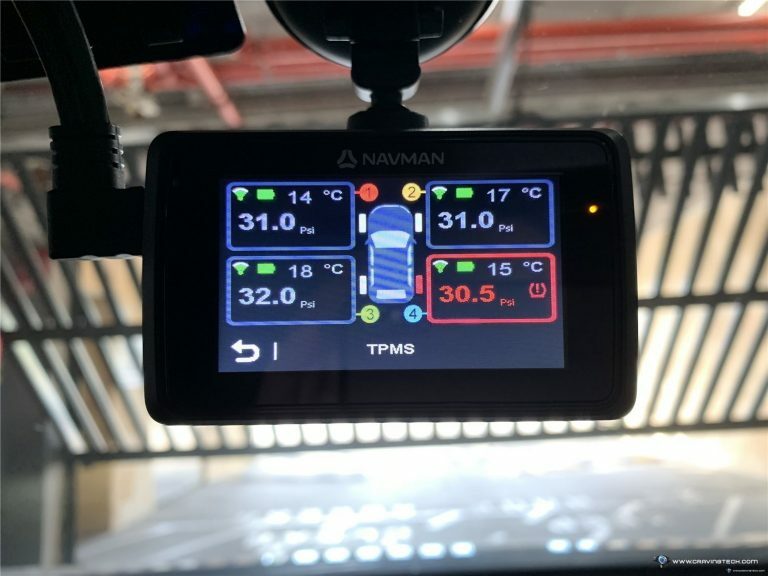 However, the latest dashcam from Navman, Navman MiVue 860 DC TYRE, goes a step further by introducing the world’s first dashcam with an inbuilt tyre pressure monitoring system! There are tons of contents inside the packaging, which includes front and rear cameras, but also the MiTYRE Tyre Pressure Monitoring System (TPMS). 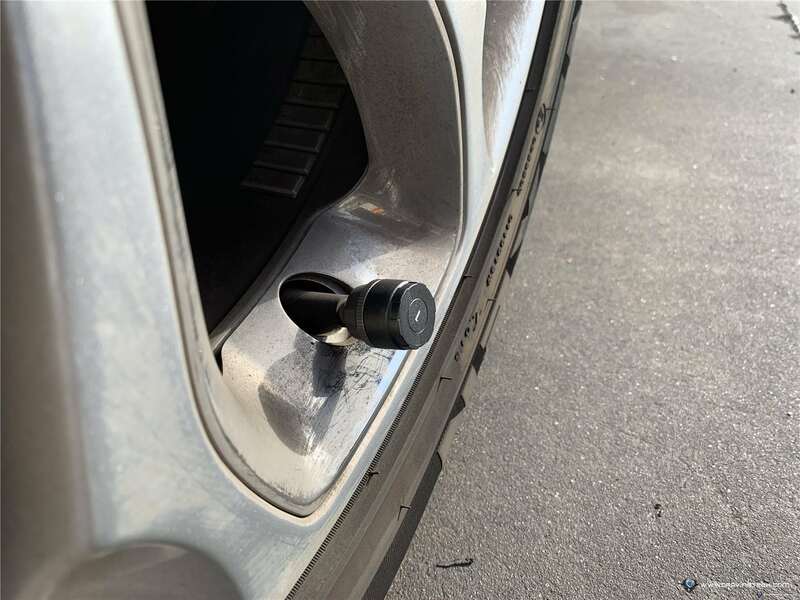 Note that the TPMS can be purchased separately for A$299 and work with current, supported MiVUE dash cams like the MiVue790 WIFI, MiVue 780, and even the MiVue 680 which was a 2016 product via firmware update. 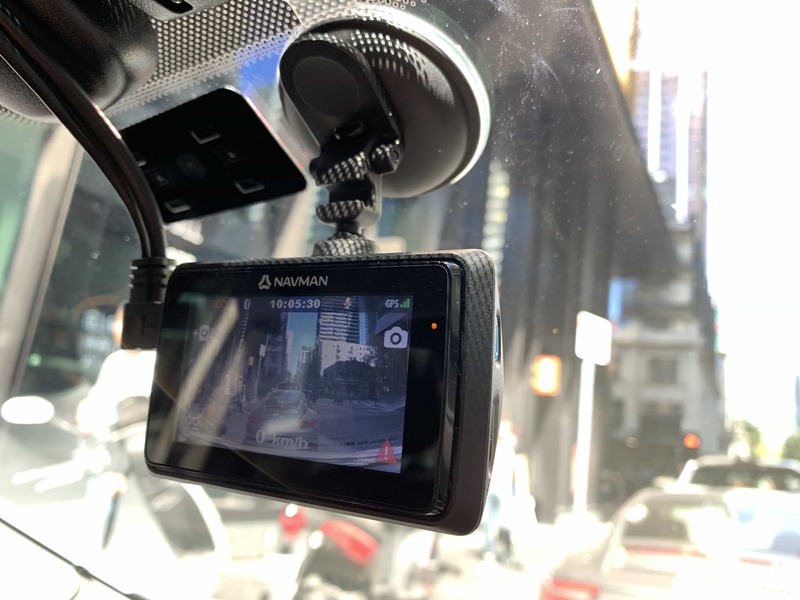 This is indeed a generous offer by Navman to add support to existing products, than using a marketing ploy to encourage Navman users to upgrade their dash cam. Installing is pretty standard with windshield mount, but there are extra cables, splitters, and adapters to plug for the rear camera & the tyre pressure monitoring system. The rear camera has a long cable so you’ll have no problem in concealing all the cables from view. 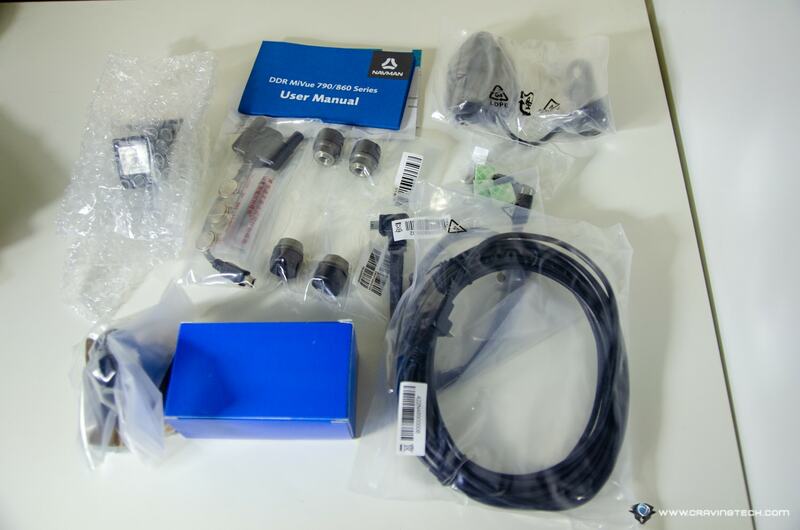 However the TPMS receiver is not that compact to hide away. 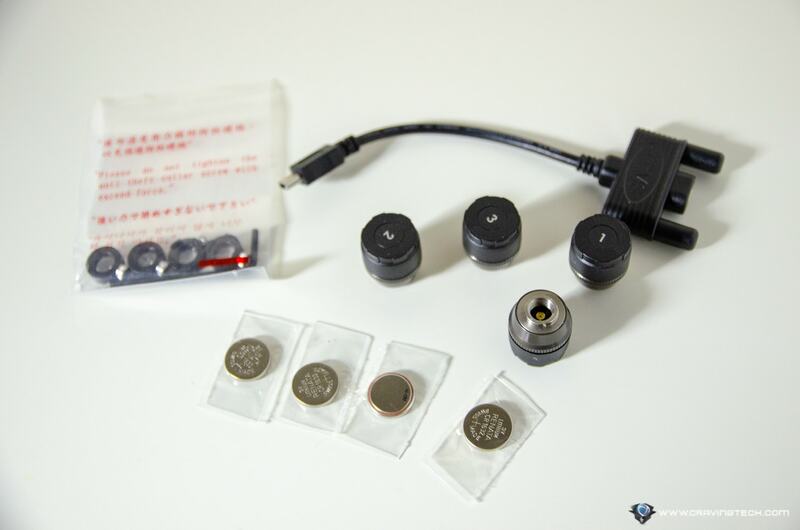 The MiTYRE Tyre Pressure Monitoring System works by having an external sensor on each tyre valve cap, powered by a CR162 Lithium battery. They are numbered (1 to 4) and correspond to your 4 wheels (front left, and so on). 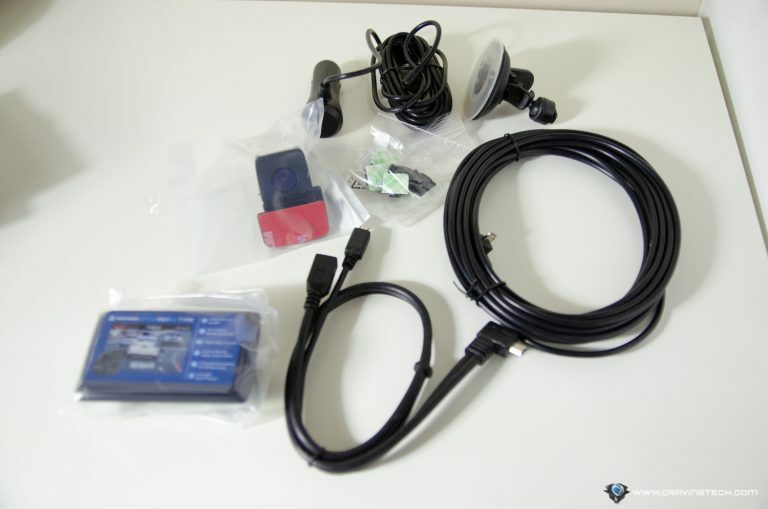 Each sensor will monitor the current tyre’s pressure and send the information through the signal receiver, and to the MiVue dashcam to be displayed. The valves are bigger than the standard wheels’, but they are not ridiculuously big either and shouldn’t be noticeable. 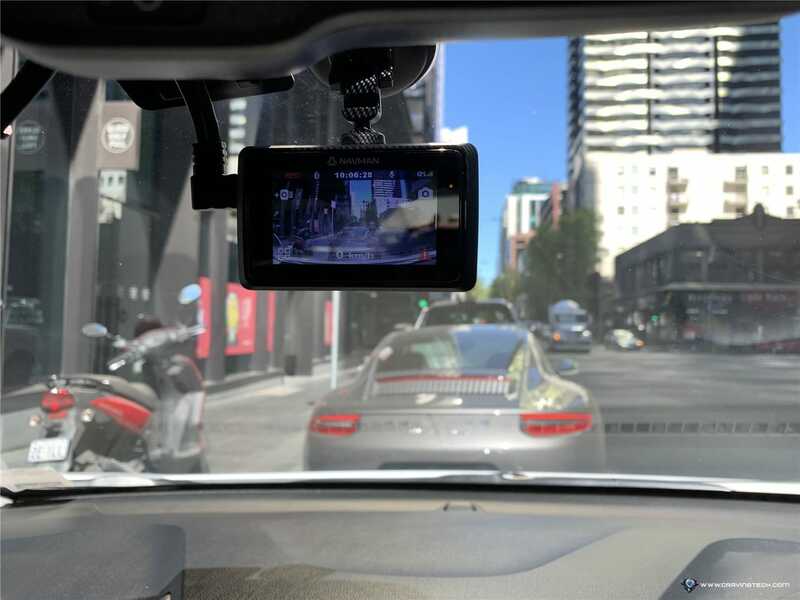 The dash cam itself has the same MiVUE design that MiVue owners love. 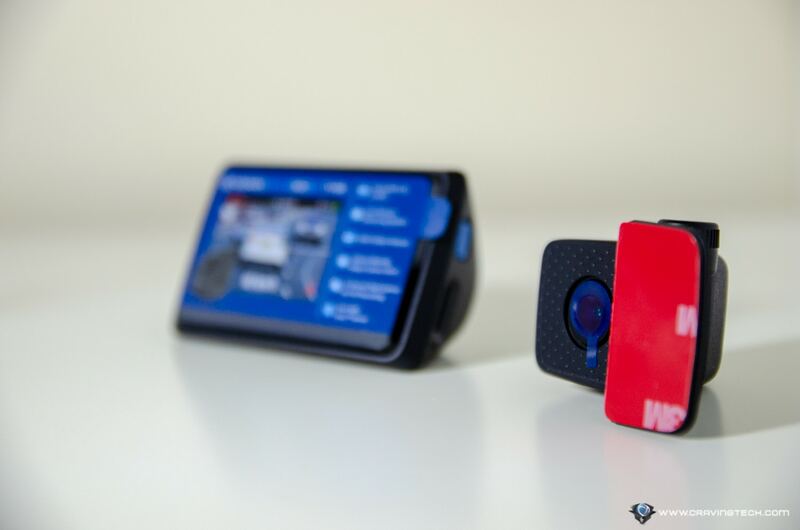 Its size is compact (2.7″ screen), plus it works great in capturing and alerting what’s important to you. It supports recording in 1080p Full HD (no 4K yet) and also performs well at night. 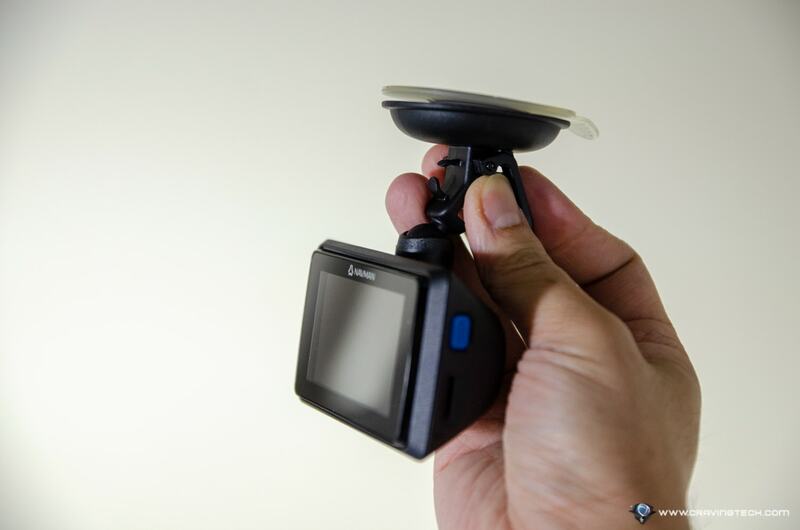 I’m not planning to talk much about the dashcam itself because it has similar features to the previous MiVue790 WIFI, so make sure to check my review out on that one. However, I’d love to focus more on the Tyre Pressure Monitoring System and how useful it is. I’ve had 3 flat tyre incidents for the past 4 years (lucky me). In most cases, I wasn’t aware that I had a flat tyre. Sure, I could feel something was funny but I ididn’t realise it fast enough until it’s too late. 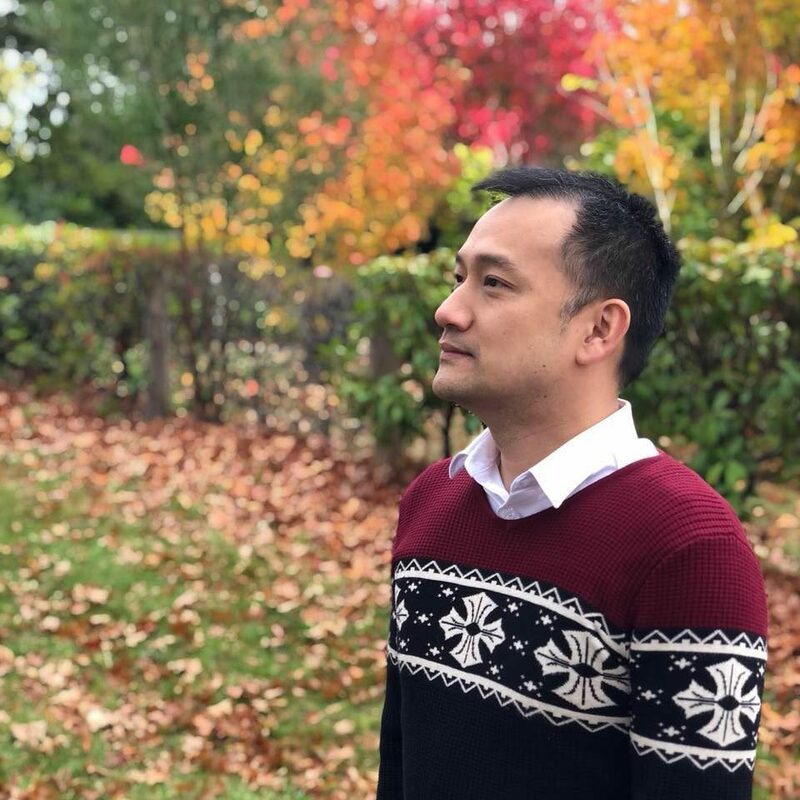 In the last ocassion, I completely blew the tyre off running 80 km/hour on the Tullamarine Freeway to Melbourne Airport. I had to wait for an incident response team to come and help me out, but thankfully the car didn’t go off road and everyone was fine. 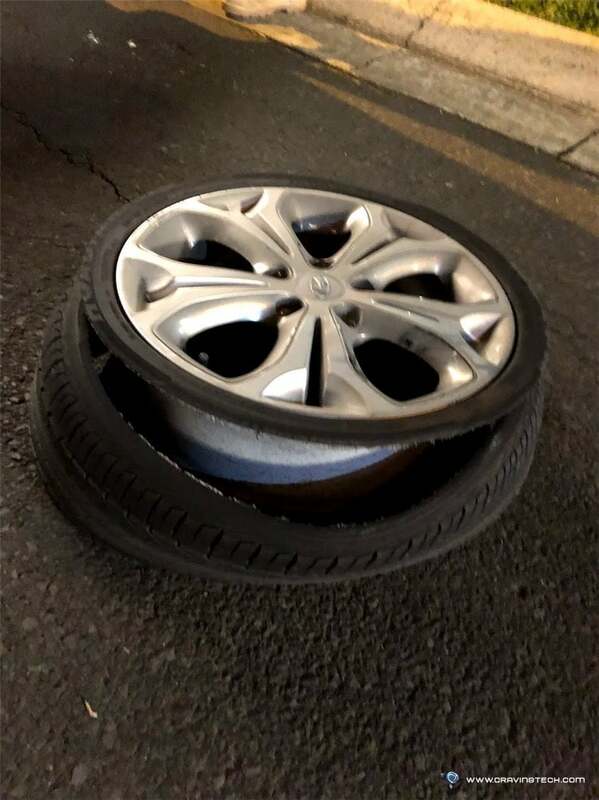 While having a flat tyre is unavoidable, you can at least minimise the damage by driving slowly as soon as you know you’ve got a flat tyre (or better, pull over and replace it). Unfortunately, my Hyundai i30 (2014) does not have a feature to tell me when my tyre has gone bust. This is how good and useful the Navman MiVUE 860 DC TYRE is. I can see the current tyre pressure in real time from the screen, and I can set it to be displayed all the time if I want to. However, I can also set it to display only if something is wrong (and show either what the camera sees or a simpler HUD). You can set the minimum and maximum tyre pressure before the dashcam alerts you in the settings. 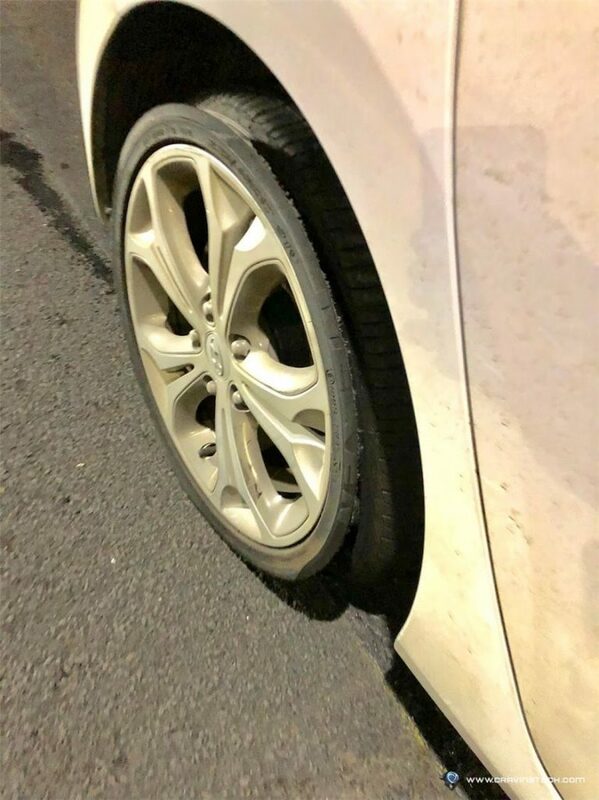 Apart from letting you know of a flat tyre problem, it’s also good economically to maintain good tyre pressure as it has an impact on tyre wear & lifespan, better driving performance, and also fuel consumption. After several flat tyre incidents, I now check my tyre pressures at the pump station before every long trip. But thanks to Navman MiVUE 860 DC TYRE, I know the sensors will alert me before I start to drive if the tyres need more air or when incident happens. 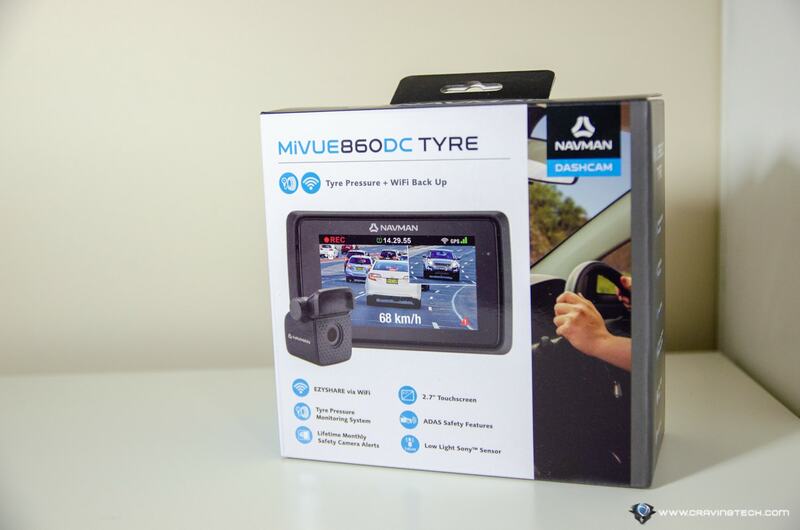 Navman MiVue 860 DC TYRE dashcam has gone further than just capturing an incident for insurance purposes. It also helps you to even avoid incidents from occurring by alerting drivers when they might be fatigued, forgot to turn the headlights on, and now – when tyre pressures have changed dramatically. 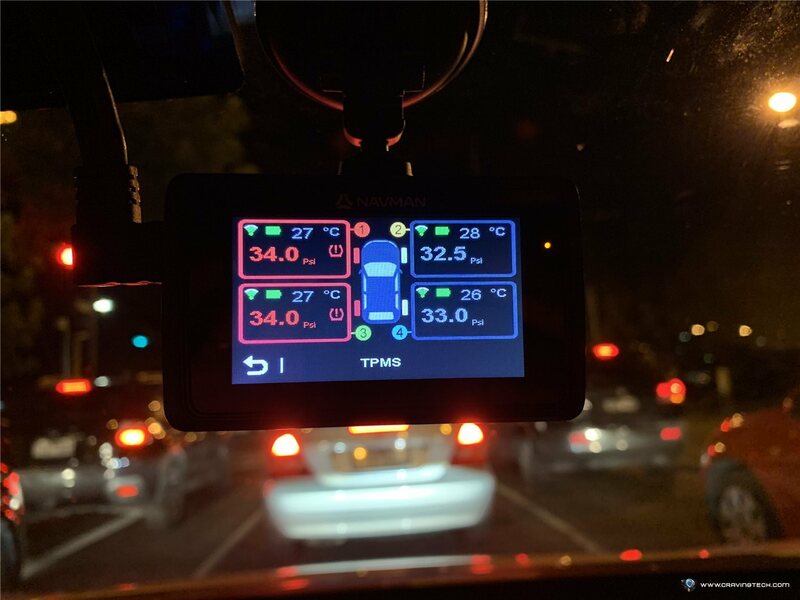 The tyre pressure monitoring system can also be purchased separately and integrated to your current supported MiVue dashcam. It’s certainly a good gesture from Navman for supporting older devices than forcing people to upgrade. With all these flat tyre incidents happening to me, Navman MiVue 860 DC TYRE dashcam is definitely the only worthy dashcam to have on my windscreen at the moment. And it should be on your car too, especially if your car does not have a tyre pressure monitoring feature.